How to Conduct an Effective Self-Experiment – The Ultimate Guide. Download a PDF version of our Experimentation Cycle flow chart here! With self-experimentation, you can try different ways of doing things, find out more about yourself, and learn what is good for you, or what isn’t. Conducting your own self-experiments can be quite fun. Like a series of mini-adventures. Isn’t it exciting to discover something every day? When done safely and ethically, running a self-experiment can give you an immediate benefit: uncovering if something works for you. Unlike professional scientific research, a self-experiment has only one study participant: YOU. Technically speaking, it’s an n=1 experiment, where “n” (number of participants) is “1” (one). you are the logical observer. This means that what you discover through self-experimentation may not work for others. This is all about you and just you. That said, your own n=1 experiment can be very motivating. Because you have the freedom to explore any theory, and test whether it applies to you personally – or not. your mood, and so on. I’m not suggesting that you do anything extreme! No needles. No dodgy substances. No harm to self or others. No replacement for a medical treatment. No absurdity. No experimenting on others unless you’re a career scientist with the relevant qualifications (such as a Ph.D.) and obtained adequate ethical approvals. While keeping these cautions in mind, the basic principle is that you don’t need to wait for new science to give you “permission” to test your own theories when it comes to your personal health – as long as it’s safe, ethical, and in compliance with your doctor’s advice. by observing the effects, as a scientist would. In order to conduct an effective self-experiment, you need to follow a series of specific steps. I’ll explain each step shortly. But first, let’s define what an experiment is. In short, an experiment can help us validate or refute an idea or method. When you conduct your self-experiment, follow the 5 steps of the experimentation cycle. Download a PDF version of our Experimentation Cycle flow chart by clicking here. As you can see in the flow chart (download a printable version here), there are distinct stages in experimentation. There’s a reason for each of these 7 steps. In fact, they are the same steps that us scientists follow! They may look scary at first, but it’s totally feasible to extrapolate these important steps into your self-experiment. 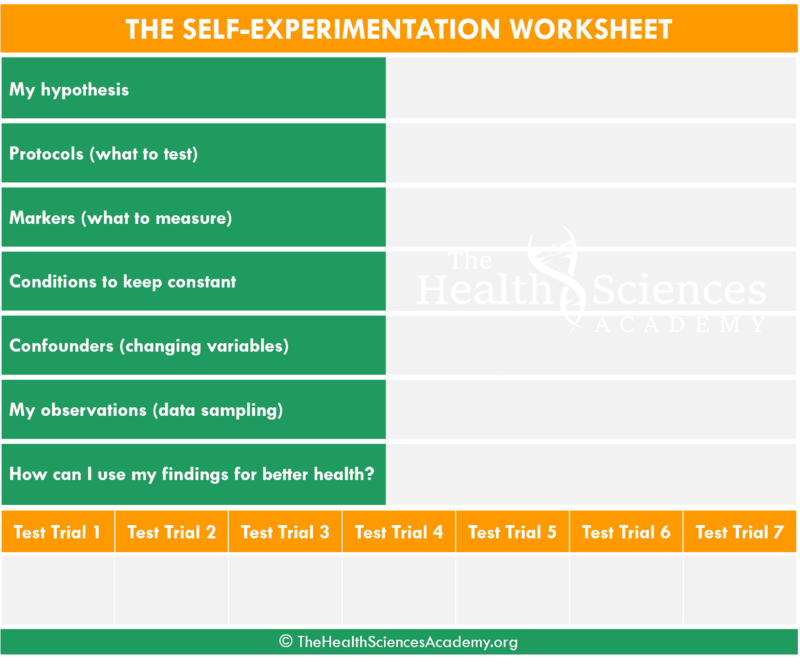 Without these steps, you won’t have a proper experiment – you’ll have yet another untested theory. So let’s roll up our sleeves and dive into them. I’ll help you. Ever wondered why athletes swish sports drinks in their mouths, only to spit it all out? That’s called a carbohydrate (CHO) mouth rinse: gargling a CHO fluid around the mouth for 5 to 10 seconds, with subsequent expulsion by spitting. But why rinse, without swallowing? Although sports drinks are known to aid in endurance and power output, most research studies show that it may NOT be necessary to swallow sports drinks during exercise lasting 30 minutes to 1 hour. A simple mouth rinse may be enough to delay fatigue and give you a performance benefit. That’s it – gargle and spit. How is this possible?, you may ask. Translation? When carbohydrate is in the mouth, the brain detects it and “thinks” that energy is on the way, thus working extra hard to enhance performance. Fascinating, right? But… is it true? As a scientist (and sports enthusiast! ), I needed to dig deeper and see both sides of the story. True enough, I found a small number of studies that didn’t observe the same performance benefit. For example, this study found that mouth rinsing did reduce neuromuscular fatigue after endurance cycling, but that didn’t translate into a performance improvement. A systematic review points out that results can vary depending on different factors, including the duration of your mouth rinse, the number of rinses per hour, the type of sweet solution, the training intensity, and whether you’re training “on empty” or not. Test for yourself and find out! There’s only one way to investigate this… through trying it. For this particular self-experiment, let’s try to use cycling as an example. I figured this is a practical exercise that many of us in our community may like and can relate to. Also, this is a fun activity that can be done by men and women, indoors (e.g. spinning at the gym) or outdoors. First, let’s recall the basic steps of the scientific process one by one, explained. The whole point of experimentation is answering a question you’re curious about. What would you like to learn about yourself? 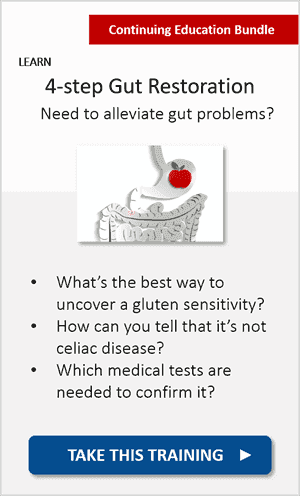 What is that something that could improve an aspect of your life quality? Write a list of questions for those things you’d like to experiment with. You can get inspiration and tons of ideas from any of the courses you might be taking with us. Then choose just one of those questions. Why one? Because in experimental research, it’s important to test one thing at a time. One cause-effect relationship to prove or disprove. I’ll explain the importance of this soon. Will sweet mouth rinsing improve my cycling performance? In order to answer this during your test trial, you’ll first need to know what your current performance metrics are. That’s your “baseline”: your current situation, before you change anything. In research, we always need a baseline. The “before”. For example, how fast do you currently cycle? How long does it take you to complete 15 miles (~25km)? Details like these would be your baseline. Your pre-experimental conditions used for comparison. Do you have those metrics? If not, start collecting the data. This way, you can compare your performance markers pre- and post-experiment. To help you, I’ll list a number of performance markers that you can start tracking later on. But now that we have our overarching question (will mouth rinsing give me an athletic edge? ), let’s move onto our second experimental step! This step is about finding out if scientific studies tried answering the same question that you have. And, if so, what the results were. This will help inform and fine-tune your question, so you can later on formulate a hypothesis (I’ll show you how in step 3). For your literature review, I recommend that you do your search in PubMed (link here), or in Google Scholar (link here). I’d stay away from blogs or “bro science” from forums, for reasons that I explain in this article. We need to keep your scientific brain as unbiased as possible! In terms of our mouth rinse experiment, I’ve done the science-digging for you (see the hyperlinks earlier on). Now that we’ve done our literature review, let’s work on the hypothesis. A hypothesis is an assumption you make as a starting point for further investigation. If I ______ [do this], then ______ [this] will happen. The hypothesis should be something that you can test and measure during your self-experiment. If I mouth rinse with a glucose drink for 5 seconds, 4 times during my 15-mile cycling, I will complete this distance 10% faster. The more specific your hypothesis, the easier it will be to design your self-experiment. Let me show you how next. In experimental research, we are after “a cause and an effect”. In other words, a scientist looks for a different outcome when a specific factor is manipulated. In our sample experiment, what you’ll manipulate is the introduction of the sweet mouth rinse, without swallowing any drinks during your cycling test trial. That said, you should keep the “conditions” in which you normally cycle the same (e.g. same bike, same journey, same time of the day, same day of the week, same diet, same sleep, and so on). Most people get that part wrong when testing. They change too many things at once. That’s a big no-no in research. Why? Keeping all the other conditions “constant” will allow you to know for sure that it was the mouth rinse itself that affected your performance, and not something else. I will be helping you refine this in a few moments. If you want your self-experiment to be effective, safe, and give you accurate results, you need to pay attention to these 4. Let’s break them down, one by one. Protocols are the heart of your study design. They are the things that you may wish to manipulate, test, and experiment with. I suggest that you document them, given that you’ll be using them throughout your self-experiment. Once you’ve chosen your protocols, write them down – I’ll give you a printable worksheet for this later on (I’m nice like that!). Remember, the solution is typically mouth rinsed and expectorated. Not swallowed. Which takes us to some ethical considerations. When conducting your self-experiment, keep things safe for yourself and those around you. For example, you wouldn’t want to spit on a fellow cyclist when rinsing. That’s offensive and, therefore, unethical. See if you can spit the drink out into a towel or tissue. Sports scientists typically use a bowl in the lab. In formal research, a study won’t be approved if it’s not safe and ethical. The same applies to your n=1 experiments. No foolishness. No invasive protocols. Nothing extreme that would put you or someone else at risk, okay? Conditions are the circumstances you’re going to experiment in. The conditions of your experiment should be the same conditions pre-experiment. Without changing them. The only thing we’ll be changing are the protocols. But not the conditions. For that reason, it’s critical that you list the “usual” conditions. The things that will remain unchanged. … with or without breakfast? … after coffee or not? … with 6 or 8 hours of sleep the night before? … with warm-up or without? … with regular trainers or special cycling shoes? … in ordinary cotton clothes or cooling microfiber? For best results, try to keep the conditions constant. Following our example, don’t change anything about the cycling experience, other than the “protocols” (the mouth rinse). For instance, if you normally cycle every day at 8am, an hour after breakfast, without coffee, and wearing special cycling shoes, then try your best to do the same during your self-experiment. Doing so will help ensure that the results are based on stable conditions. Without changing too many things at once. If you change too many variables, you won’t know what caused what. Altering too many variables may “contaminate” your results, making it difficult to distinguish one true cause. These changing variables are called “confounders”. A confounder can act as a cause too, influencing the outcome and “distorting” your results. For example, if you never had caffeine before cycling but now you do, in addition to the mouth rinses, you won’t know which of the two helped you cycle faster! For that reason, make sure you reduce, minimise, or eliminate any confounders that may taint your experiment. This is why science works in a very granular way. 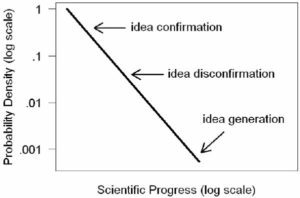 Scientific progress is a mix of many tiny steps. One narrow experiment at a time. With as fewer confounders as possible. Accidental confounders are any “unexpected factors” affecting the results of your experiment. Daily life is full of distractions and unplanned circumstances, isn’t it? I’m talking about those little (yet fun!) things that may interrupt your experiment – rain, a bump on the road, a phone call, a friend on the cycling track. You get the picture. Raining? Postpone your cycling experiment to a dry day. See a bump on the road? Avoid it. Phone ringing? Call back later. Or select “silent mode” before starting. See a friend waving at you? Ignore and keep cycling. Okay, the last example may be a little rude, but you know what I mean. The idea is to try your best to conduct your experiment with the same conditions of your baseline, with as little distractions as possible. How you handle these interruptions is up to you (and your sense of adventure!). Now that you have designed your self-experiment (yay! ), it’s time to run it. Remember the end goal: learning more about yourself. “Genius is one percent inspiration and ninety-nine percent perspiration,” Thomas Edison said. In other words, you need perspiration (a lot of observation and data sampling) to find inspiration (a discovery or a big step forward). So, what are you going to observe and measure? By now you would have already collected your baseline metrics. Your baseline metrics are your “pre-experiment” measurements: your “before”, for later comparison. Say that your typical power output is 250 watts on average while “spinning” in a stationary bike for 45 minutes. To find out if mouth rinsing will increase your power output, you’ll be measuring your watts and see if the average goes up. Observation is when experimentation truly begins. You get on the bike, cycle, do your usual training/exercise. The only thing you’re changing now is the introduction of the mouth rinse protocols. Next, observe what happens during your test trial. Meticulously record your chosen performance markers. There are several performance markers you could track. Let me give you some examples. Markers are the things you can measure and observe to determine the outcomes. Power output. This tends to be the most reported outcome in mouth-rinse studies. Power output can be measured in “watts” if you have the technology. Most stationary bikes have that. Alternatively, you’ll know your power output is higher when you push harder or notice an improved or faster climb. Decreased time to complete a time-trial. This is when you go faster and complete the same distance in less time. For instance, even if you cycle one minute faster during each time-trial, it counts. Say that your time-trial is 10 minutes long, and you finished the distance in 9 minutes, that’s 10% faster! Increased distance. This is when you keep going for longer. Increased time to exhaustion. You don’t get tired until later than usual. This is when fatigue is delayed and you keep going “at the same rate” for longer. Reduced rating of perceived effort. This is when your brain sees the activity as less effortful. You can measure this subjective metric on a scale of zero to 10, with zero being no effort at all. Once you have a list of things to measure (before and during your experiment), make sure you do and keep a record of it all. So, what happened? Based on your initial experiment, is your hypothesis validated? Did it work? Or was it a one-off? To be 100% sure, you may repeat the experiment over different days, with identical protocols and identical conditions, until you prove the same outcomes. In science, replicable results matter. Read that again… Replicable results matter. In fact, replicability is the “secret sauce” of good science. For example, if your performance improved in just one out of 10 trials, then it was a one-hit wonder. It was what we call a “false positive”: under the same protocols and conditions, the positive results couldn’t be reproduced again. Beware, PubMed is filled with “false positives”. I know, it’s a shocker. That’s why you need to be vigilant when junk science blogs cite the “one and only” study that ever showed different findings! On the other hand, if the same results keep coming back again and again, trial after trial, under identical protocols and conditions, you’ve got yourself a proper confirmation. Say that your performance improved 9 out of 10 times, it’s highly likely that your mouth rinsing protocols are doing the trick. Which takes us to your final step in the process: drawing your conclusions. Finally, it’s time to examine the data from your various trials and interpret the overall results. Whether your initial experiment proved your idea as either true or false, you should consider repeating it until you can clearly see if mouth rinsing is beneficial to you or not. If you find that it works, you can start testing new protocols and then compare performance changes, until you can optimise them. 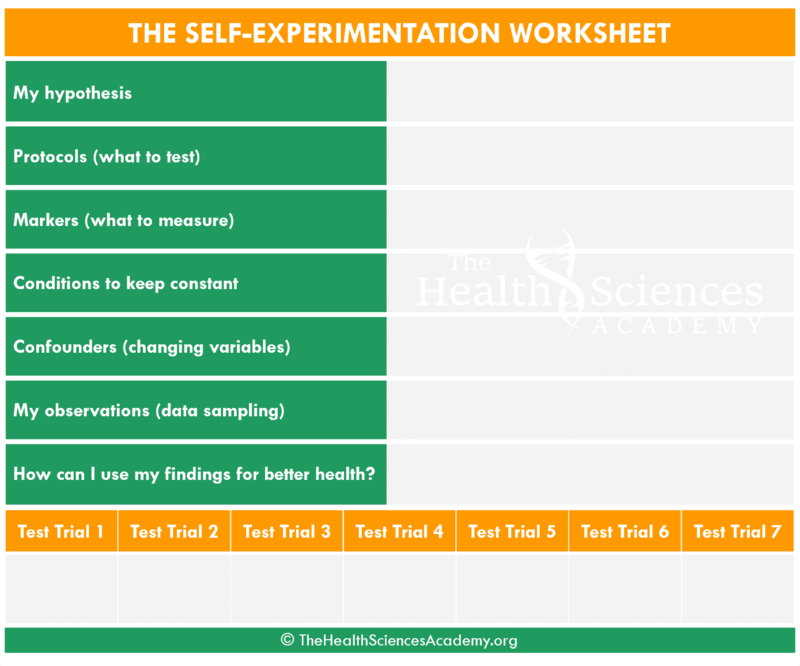 Use this framework to record your self-experiments. Download a printable version of this worksheet here. I would love to know how your self-experiment goes. But remember, safely experiment on yourself, not on your clients. Document well and be clear on what conditions you tried it in. 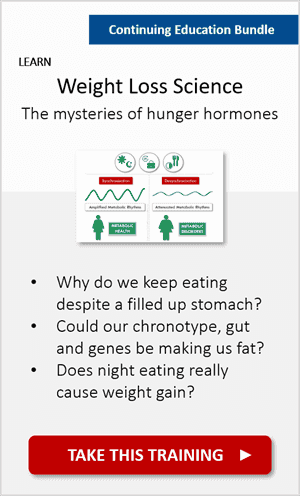 Cravings: Will my food cravings decrease if I get an extra hour of sleep daily? Sleep: Will I fall asleep earlier at night if I expose myself to bright sunlight for 10 minutes first thing in the morning? Exercise: Will I feel more focused at work if I do yoga in my lunch break vs running? 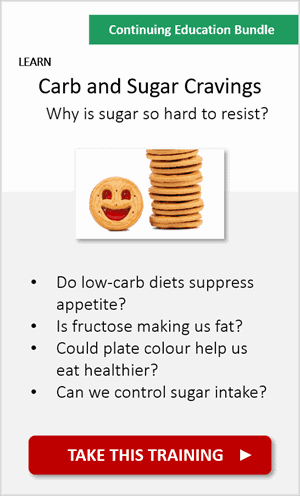 Snacking: Does snacking in between meals have any effect on my body (fat) weight? The key is to start small and simple. This way, you can adjust your experiments based on what fits into your lifestyle so nothing feels forced. However, I don’t recommend self-experimenting with things such as new supplements, medications, or anything that may put your health at risk. Your health and safety are of utmost importance. An n=1 experiment is NOT an n=everybody experiment. If something you tested properly didn’t work out for you, it’s not nice to discourage others from trying it for themselves. Because, who knows, it may actually do wonders for them! A noble scientist is an objective and curious discoverer, who wants others to be as objective and as curious as they are. That’s the mindset I like to live by since I turned to scientific research. Let others test things for themselves – as long as it’s safe, risk-free, and ethical. Ever tried something new that worked “almost like magic” for you? That’s great (congrats! ), though it doesn’t mean it’ll do the same for others. 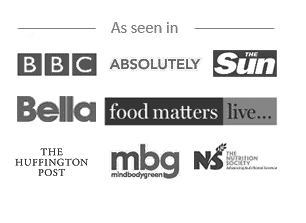 We’re in the era of personalised nutrition. If it’s not personalised, it’s not effective. That’s why the team and I are so fanatical about teaching different personalisation strategies in our specialist courses. This stems from the concept of “inter-individual variability”. 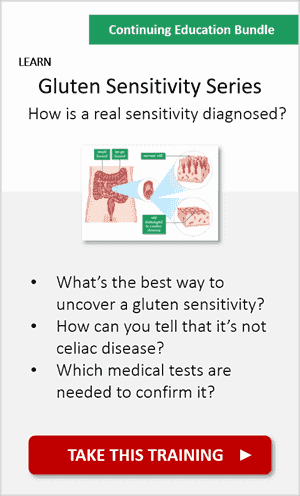 Each of us is intrinsically different and respond differently to identical protocols and conditions. 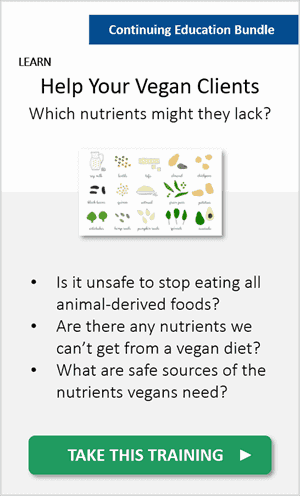 Note: To learn about personalising your diet based on your inherited genes, see “Nutrigenetics 101: Eating Right For Your Genes” here. Did the carbohydrate mouth rinse improve your speed or power output? What other self-experiments would you like to try? Join the conversation below. Who knows, what you share may help another person. 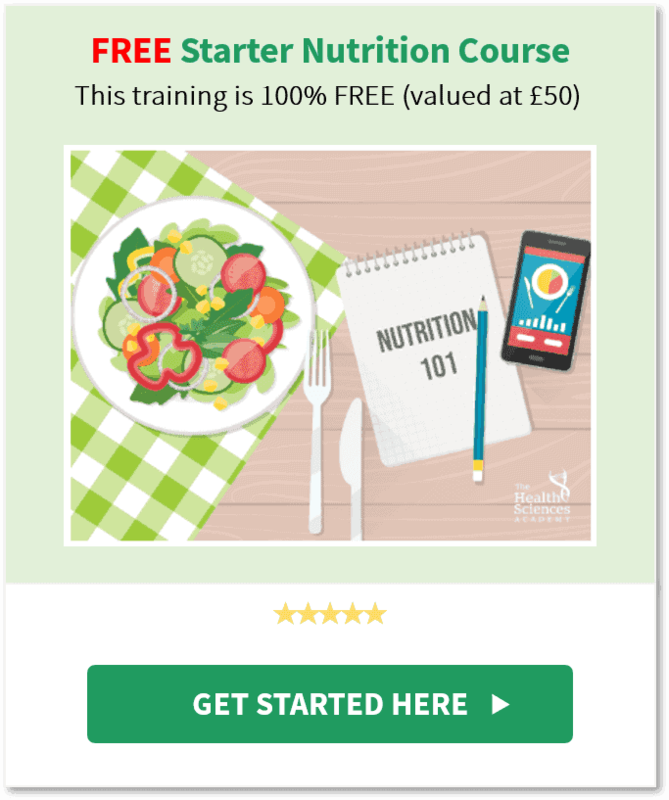 Also, if you have a minute, please share this blog post to anyone whom you think will benefit from running their own self-experiment. 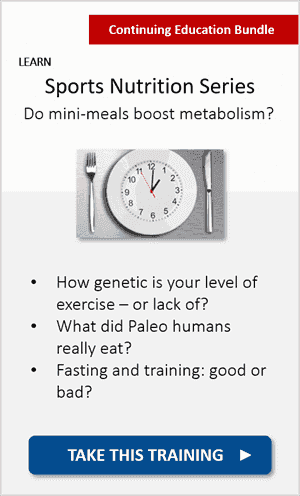 Do Frequent Meals Raise Your Metabolism? 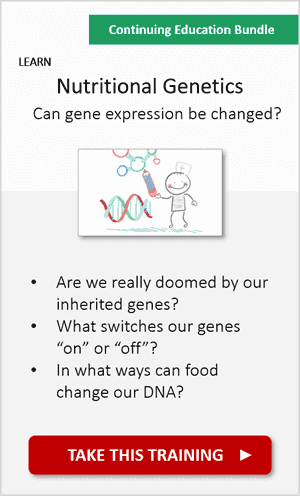 How Genetic Is Your Level Of Exercise – Or Lack Of? What has inspired you in this guide? Which hypothesis would you like to test? 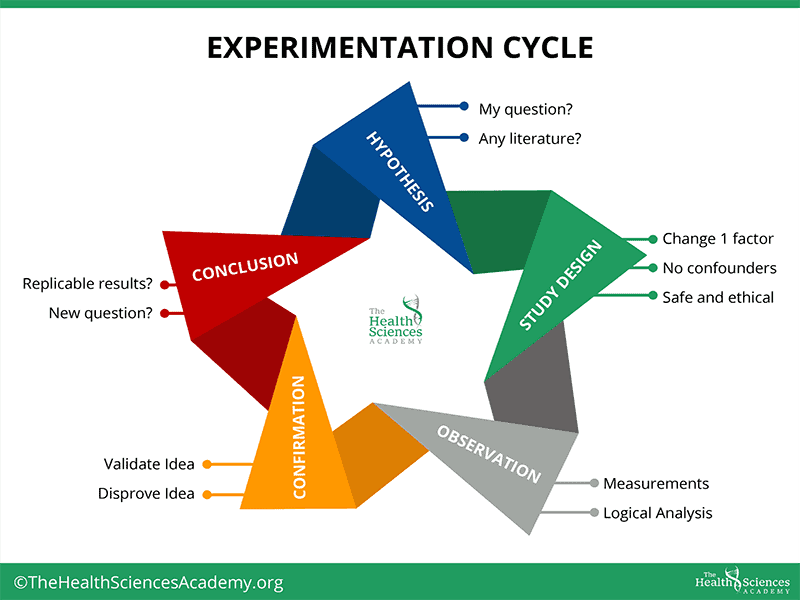 What are your thoughts on the self-experimentation cycle? Leave a comment and let us know! I have always thought the same as you wrote above and done my own experiments(more trials in reality with no protocol and in a more intuitive way) but not in that structured way..I was also thinking of involving my readers very cautiously, but you have clarified every single possibilty and risk.Many many thanks for that!Very useful and inspiring. This is genius, WOW!! I just find it very useful with the structure and breakdown. Thanks a mil, Alex, I love everything you teach us!!! My first self-experiment will be the 2 glasses of water before each meal to see if I eat less or if it makes any difference at all. After that I will do the salad bowl before each meal and test the same. But I’ve learnt from here that I shouldn’t test them together right? so then I’ll now what caused what..
thanks for this free guide! It is very detailed and well thought-out! great that it carries over to study interpretation as well! thanks for your gifts every time ,its useful things i learn every day . In these present article, I find it interesting, on mouth rinse cycling with glucose which gives energy and makes ur cycling more healthy to d body, another that I find interesting is d warning of not answering call, ppl wave at u, u don’t respond while cycling.